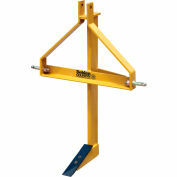 Behlen Country Heavy Duty Adjustable Grader Blade offers the most freedom to tackle big or small jobs. 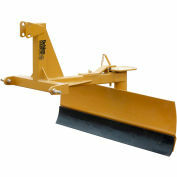 Tilt, angle and offset capabilities offer extra versatility for exceptional grading, scraping, digging and getting at hard to reach jobs. 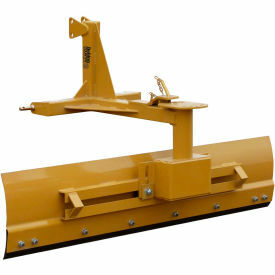 Features a 16" mold board with 6" heat-treated cutting edge, forward and reverse blade angle adjustment, 26" offset compatible either direction, ability to tilt the blade 15 degrees either direction, 360 degree blade rotation with 5 settings, index plate adjustment, Category 1 quick hitch compatible, and long-lasting UV resistant powder coat finish. 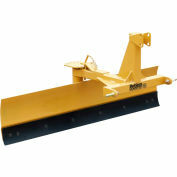 BLADE SIZE6' x 6" x 3/8"
SETTING TYPEForward and Reverse Blade Angle Adj.